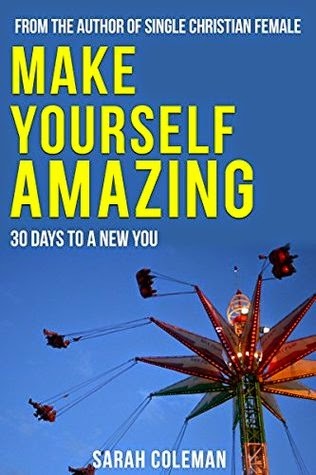 I was approached by the author to review her book, MAKE YOURSELF AMAZING. I really like devotional books and was anxious to give Coleman’s book a read. Since she is from Australia, I was curious to see if her approach would be different from other Christian devotionals I had read and it wasn’t. You would never know she was Australian except for her references to her childhood and places she goes with her family. That’s what I love about being a Christian, we are all reading the same Word, following the same rules of life, and loving the same God, all over the world. Sarah Coleman writes how changing your thinking and embracing a life you deserve will result in a life full of love, happiness, and excellence. By sharing how to have quality relationships and surrounding yourself with people who value godly character, excellence, and exude joy, you will begin to see yourself as amazing. Studying Proverbs 31, will show character qualities such as trustworthiness, kindness, being hard working, respectful, and dedicated to be ones that are essential to living an amazing life. Coleman writes with ease. Her love of God and his Word are evident. She writes as if she is talking to her friends. There wasn’t a passage or scripture I didn’t identify with. She acknowledges that no one can be the ultimate Proverbs 31 woman, but by looking at our own accomplishments, attitudes, and choices, we can be the amazing wife, mom, and friend we are destined to be. I really appreciated how Coleman took different verses from Proverbs and put them into our real everyday lives. An “Aha Moment” for me came from Proverbs 21:5. The Message version states, “Careful planning puts you ahead in the long run; hurry and scurry puts you further behind.” Coleman then breaks that verse down and explains that each of us have the same twenty-four hours in our day. How we choose what we accomplish in those hours is up to us. Through planning, being efficient and maybe even sometimes saying “no”, you can find ways to get it all done. I’m learning to add “no” to my vocabulary and through Coleman’s encouraging texts, I’m finding it easier to do. MAKE YOURSELF AMAZING can be read as a daily/weekly devotion or even done as a Bible study with others. Each of the thirty chapters ends with thoughts to ponder that can be reflected on in a journal or discussed in a study format. There are lots of scripture references throughout the book, not just from the Book of Proverbs. I found myself highlighting numerous parts of the book to reflect on and return to later. Her insights will provide readers with a strong faith, reliable character, and hope that your life can be amazing and you deserve it. Sarah Coleman is an Australian author who loves her family, and cherishes time with friends. Her goal in writing is to make people feel good, and to point them to the Bible and Jesus Christ. Her parents are pastors, and instilled a love of Jesus, the Word, and church in her life. Sarah and her husband have two young boys. For fun they like to renovate their home and travel, yes even with young children. Sarah is also the author of SINGLE CHRISTIAN FEMALE and EXPECTING DAILY PREGNANCY DEVOTION. 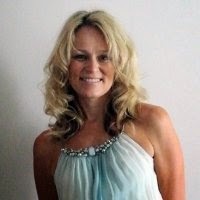 For more on Sarah, visit her website at http://www.sarahcoleman.com.au/. Thanks to the author for sending me a copy of this book for review. This review is my honest opinion. I was not compensated in any way for this review. If you choose to purchase a copy of this book through the above link, I may receive a small commission without you having to pay a cent more for your purchase. Thanks for supporting SincerelyStacie.com reviews.